At Tropical Bottling Company, beverage makers know they can rely on us to expertly can and package their ready-to-drink (RTD) products. Our canning line is equipped with the latest equipment and technology, and our team has vast experience working with established brands and startups alike. Our facility is state-of-the-art and houses all of the tools, equipment and resources beverage makers need to get their products on store shelves. We are poised to handle production runs of nearly any size and have the commercial canning experience and knowledge to ensure that your products always taste great. We also hold multiple certifications for safety assurance and even have an on-site quality control manager who oversees our canning line during each and every production run. Tropical Bottling Company’s canning line is able to can teas, sparkling juices, nectars, energy drinks, flavored waters, flavored coffees, carbonated soft drinks and much more. We offer cold fill, hot and cold fill flash pasteurization, and HTST commercial canning process. Tropical Bottling Company is also an ideal export partner. With a location close to the ports of Miami, we can eliminate double-handling charges helping you to lower costs and expedite your shipments. In addition, we gladly offer trial programs for brands who are interested in smaller quantity production runs for product testing purposes. Learn more now! 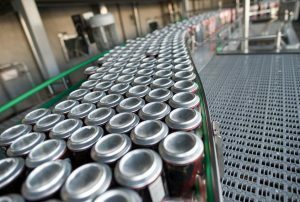 If you are looking for a top-quality canning line in Florida, Georgia, Alabama, Mississippi, Louisiana or the surrounding states to expertly produce your RTD beverages, contact the beverage production experts at Tropical Bottling Company today to get started. We have the commercial canning experience to help you get your products to market fast! With over 60 years of combined experience, we can help you streamline your production process.